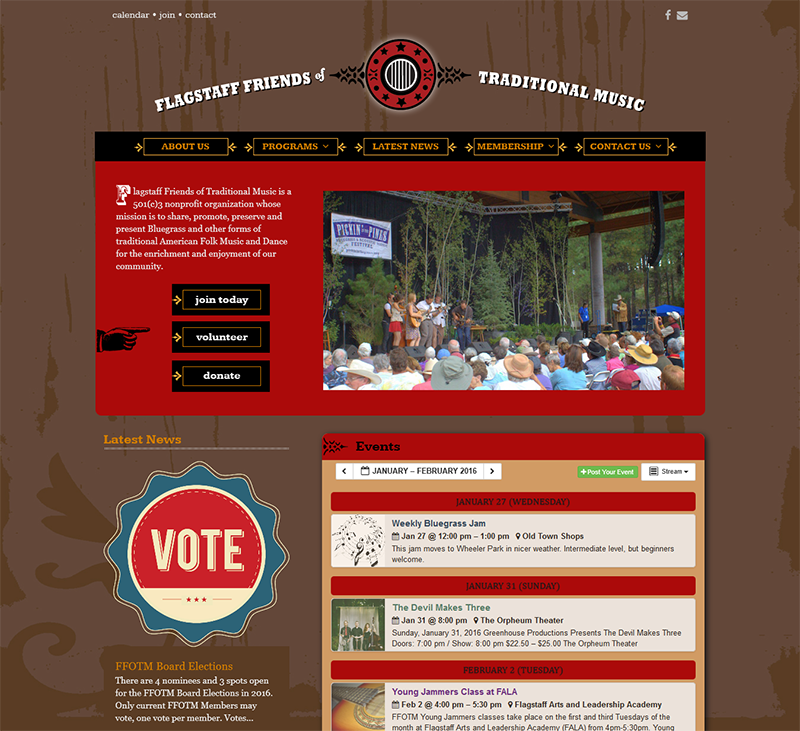 Flagstaff Friends of Traditional Music needed an up-to-date site for their programming, events and sponsors. Under the art direction of Julie Sullivan, an informational and functional site was created for FFOTM members and the interested public. 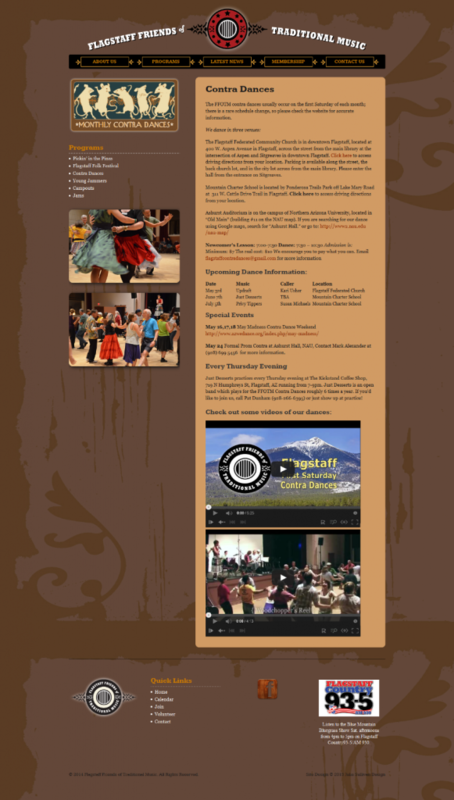 The updated site features an extensive events calendar, information on all music programming and festivals, a news blog, and membership signup and renewal functions. See the full site at ffotm.org or view the site in a frame.